For each observation we also calculate (using the ICQ procedure) the air mass, athmospheric extinction and finally the difference in magnitudes that is expected due to the stars appearing at different zenith angles. 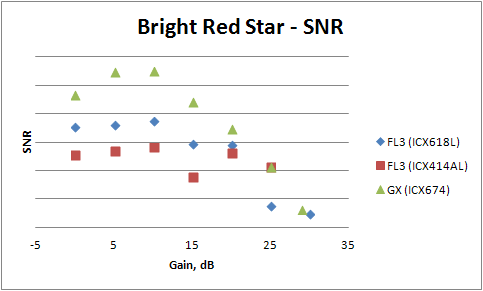 It is evident from the numbers that any differences due to athmospheric extinction will be neglectable so the slightly different altitude of the stars during the different recordings will effectively have no effect on the final results. The altitude of Tangra Observatory is 43 m above see level. The exposure used in all observations was 1.28 sec - corresponding to the WAT120N x32 frame integration. The WAT-120N video was recorded via VirtualDub using a HuffYuv compression. 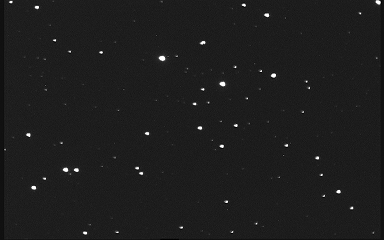 The other videos were recorded using the Astronomical Digial Video System (ADVR ver 1.2.60b). 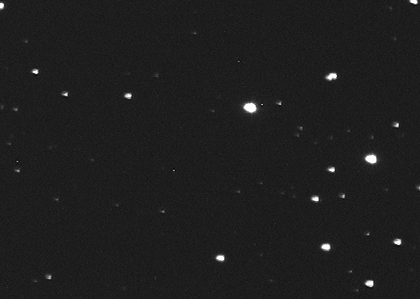 All observations were made using a 14" Meade LX-200 ACF and using an F/3.3 focal reducer. 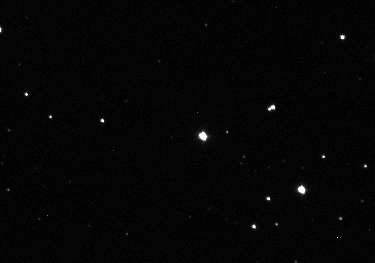 Three stars have been chosen from the FOV for measurements. The stars are marked with numbers from 1 to 3 on the star chart below. 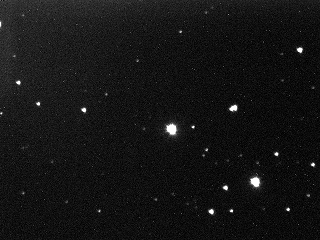 An area free of bright stars, marked as "bg" below, was used for measuring the background noise. All video record were dome with Gamma = Off. No dark or flat frames were applied. 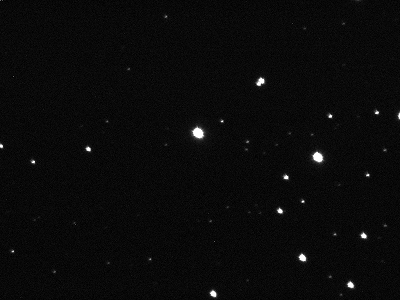 On all plots where intensity is given in % it is calculated for a full well of 255 (for the 8-bit WAT120N), 4095 (for the 12bit FL3 cameras) or 16383 (for the 14bit GX camera). 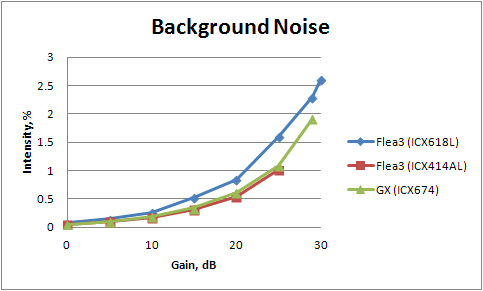 The 'Background Noise' plot below shows values calculated using the following method. 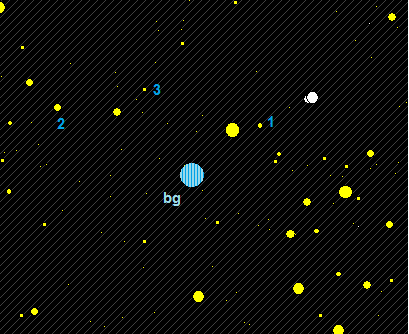 An area of 35x35 pixels, marked on the star chart above as "bg", is used for the measurement. The noise is calculated as the 1-sigma deviation of the pixel values in the area from the average background. 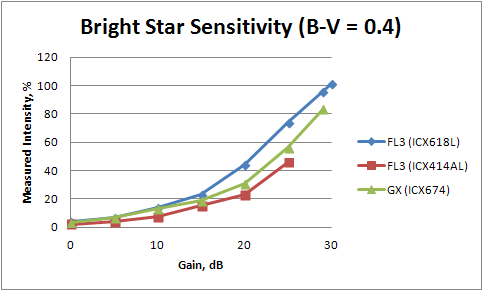 The 'Sensitivity' plots below show the intensity above background level. 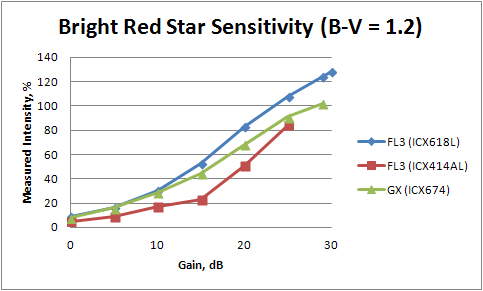 The intensity of each star was measured as the amplitude of the fitted PSF function. 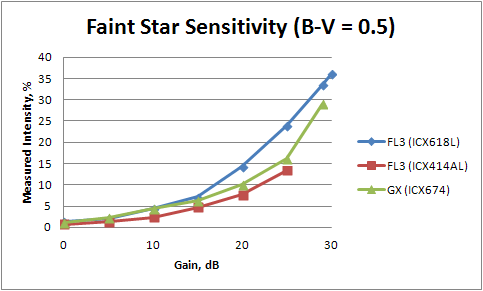 3 measurements in 3 different frames (recorded with the same settings) were made and then the average value was taken as the measured intensity for the given gain value. The measurements were done for images recorded with gains 0dB, 5dB, 10db, 15dB, 20dB, 25dB, 29dB (GX camera only), 30dB (FL3-ICX618L camera only). 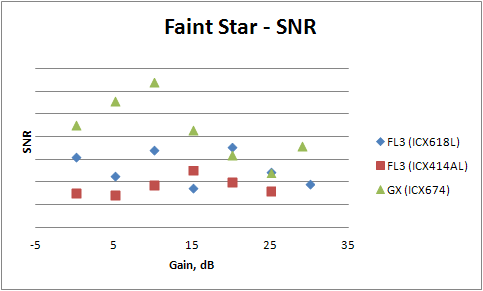 The 'SNR' plots shown to the right of the 'Sensitivity' plots show for SNR the ratio of the measured intensity divided by the background noise as computed for the 'Background Noise' plot. Finaly there are two plots that compare the PointGrey cameras supported by ADVS with the WAT-120N integrating camera. 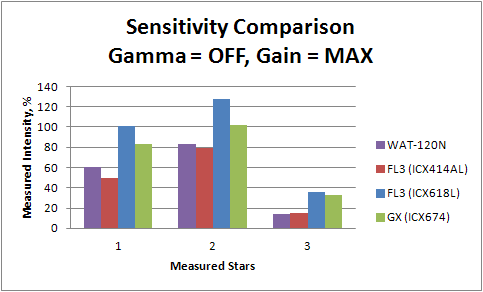 The first 'Sensitivity' plot is simply a comparison of measured star intensities for each of the stars when each of the camera is used with its highest supported gain. The second plot shows the SNR for the highest gain measurements, where the noise is the 1-sigma error in the 3 measurements (rather than the background noise derived from the images). 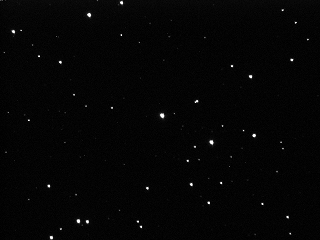 The images below show the FOV with each of the cameras when recorded with the camera's highest supported gain. To compansate for the smaller field of views and bigger stars, the GX (ICX674) and FL3 (ICX618L) images were shrinked with a factor of 2. 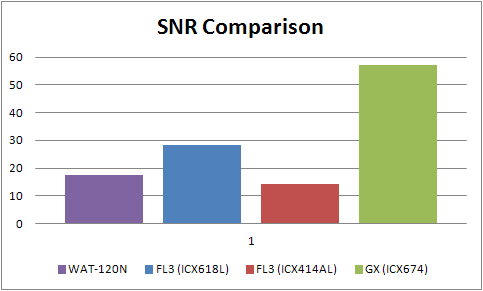 The FL3 (ICX618L) image shows the full FOV while all other images represent just part of the FOV that corresponds best to the FL3 (ICX618L) image.